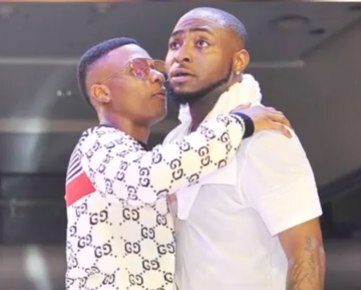 For fans wishing to have Davido and Wizkid on the same track something might be in the works already. An American music producer Tay Keith may actually be the first person to get the Starboy and OBO to work together on a new record. The music producer is responsible for producing Travis Scott’s billboard hot 100 number one song ‘Sicko Mode’ which features Drake. In a tweet Tay Keith hinted a collaboration between the two Nigerian superstars. He wrote ‘Davido and Wizkid for the culture‘. It didn’t take long for the DMW boss to reply showing readiness to get to work. See the exchange on Twitter below.